Santa Christmas Desserts – Pinterest Inspired! Happy Monday!! Since this fun santa dessert is now live on my Instagram and everyone is looking for Christmas desserts – Pinterest inspired, I thought I would share the recipe here on Beyond Casual B! It’s super easy and quick to make and only takes a few minutes!! So if you’re tired of bringing those store bought pies to your Christmas parties, try this recipe I found on Pinterest from Smart School House! -Cut the tips of the strawberries and place them on a dry napkin so it will soak up the juice and stop the frosting from sliding after application. -Dry the body of the strawberry on a napkin as well, before applying frosting. -Once there is frosting on each body, place the strawberry tips on top! This creates the hat look! -Then use your black frosting to create the eyes. -Lastly, put a dab of frosting on the top of the hats! That’s it you guys! It’s THAT easy! And they are so yummy! If you end up making them, send me a picture!! I’d love to see how yours turned out!! And don’t forget to check out my gift guides for the Holidays! There’s one for everyone, with gifts under $25, under $50 and under $100, as well as a guide for thoughtful gifts! Next Post How To Wear A Skirt In The Winter + A Sneak Peek At Our Christmas Cards! Oh my goodness!! This is awesome! Seriously the best dessert idea I’ve seen. I will definitely try it this week! These are so cute and I can actually do this haha! I might do this for Christmas Eve with my family! So healthy, I love it! Omg I need to make these this holiday season. They look beyond yummy! Thanks for sharing with us dear! They are soooo good! and you’re welcome!! you can definitely make them! they are so easy! The cutest I have seen ever! And soo easy. Thanks for sharing. Will make for my family!! Okay these are actualyl sooo cute and look like they’re pretty easy to make! You’ve inspired me to try these out for my next holiday party. They’re too cute! aren’t they so cute! glad I could help! Omg these are sooo adorable. 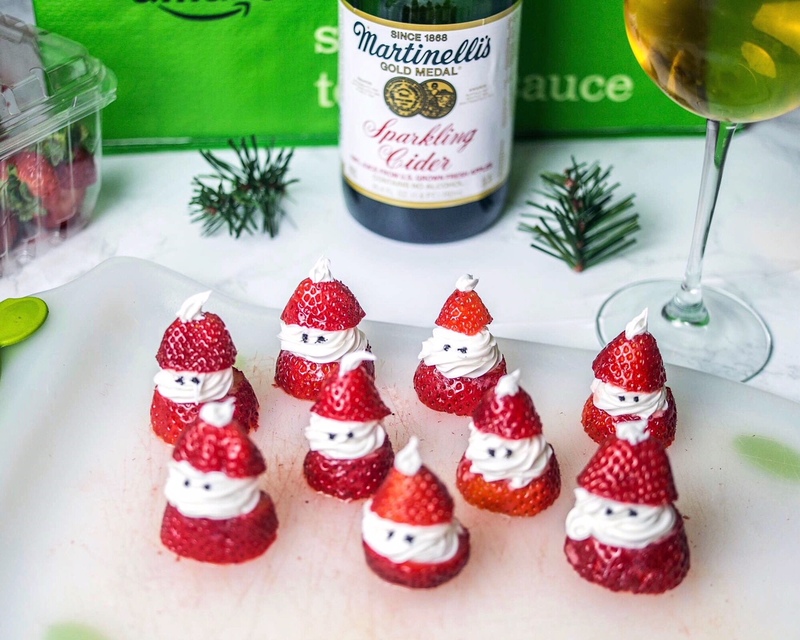 I def have to try making these for one of my holiday parties!! !